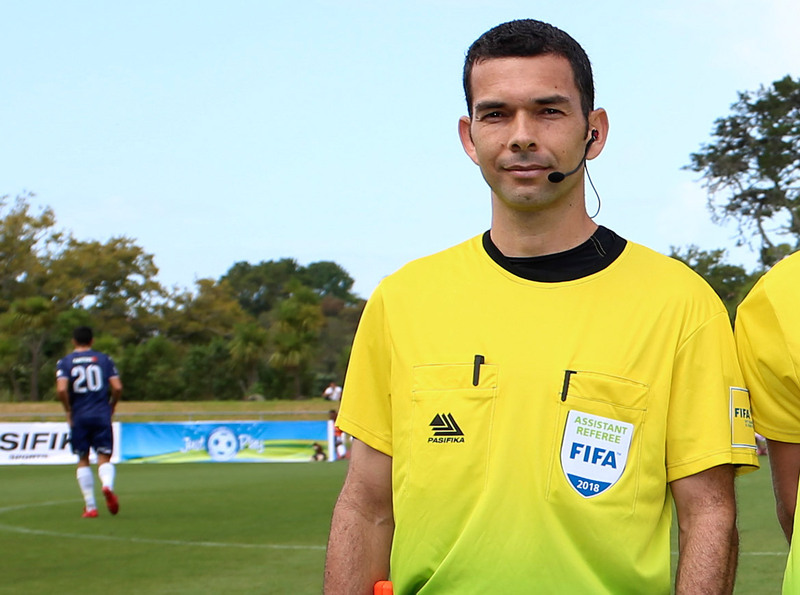 Two OFC referees and three assistant referees will join the world’s greatest footballers in Russia in June after being included in the list of match officials for the 2018 FIFA World Cup Russia. Tahiti’s Norbert Hauata and New Zealander Matt Conger will be joined by assistant referees Simon Lount of New Zealand, Tevita Makasini from Tonga and New Caledonia’s Bertrand Brial. For first-timer Brial the news came as a pleasant surprise. “I learned the news this morning when I woke up,” the secondary school teacher said. It’s exciting news for the Confederation to have representation among the match officials for the biggest football event in the world. OFC Referee Development officer Kevin Stoltenkamp congratulated each of the successful candidates on their inclusion among the best referees across the globe stating that it is a reward for a lot of hard work over the past couple of years.